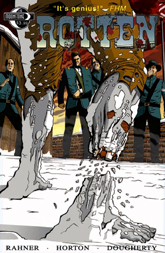 Look for Rahner at this weekend's ECCC, table I-06. 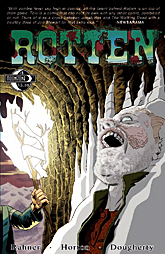 Rahner will be at the JET CITY COMIC SHOW in Tacoma, 11-2-13. 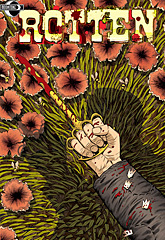 Rahner will be representing ROTTEN at the ZomBcon booth at SDCC 2011! 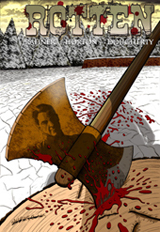 ROTTEN will be at Seattle's ZomBcon Friday-Sunday Halloween weekend! For the full schedule, go to the ZOMBCON SITE HERE! For Rotten activities, see our EVENTS page! 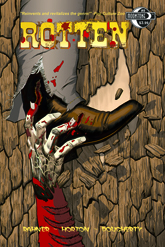 In stores now: Rotten No. 7: "Revival of the Fittest!" Read the rave reviews on the PRESS page! 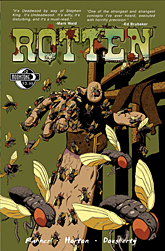 On the way: the ROTTEN trade paperback collecting issues 1-6! Weigh in on the new ROTTEN MESSAGE BOARD at MOONSTONE BOOKS. It's the one place you can rant about death panels and not sound like a moron! 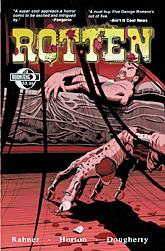 FANGORIA, the mac daddy of horror fan mags, interviews Mark Rahner about ROTTEN! And it's better than a poke in the eye! 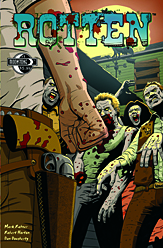 "Releasing a new zombie comic onto today’s ghoul-filled shelves might seem like beating a dead horse, unless you’ve a got a super-cool approach—and Mark Rahner definitely does."